In the town of El Vilosell, more than 700 metres above sea level, a splendid mountain landscape surrounded by forests and native and international grapevines with 20 different varieties of grapes provides the ideal setting for producing fresh and elegant wines, the result of a mild microclimate and a constant breeze with limestone and stony soil. 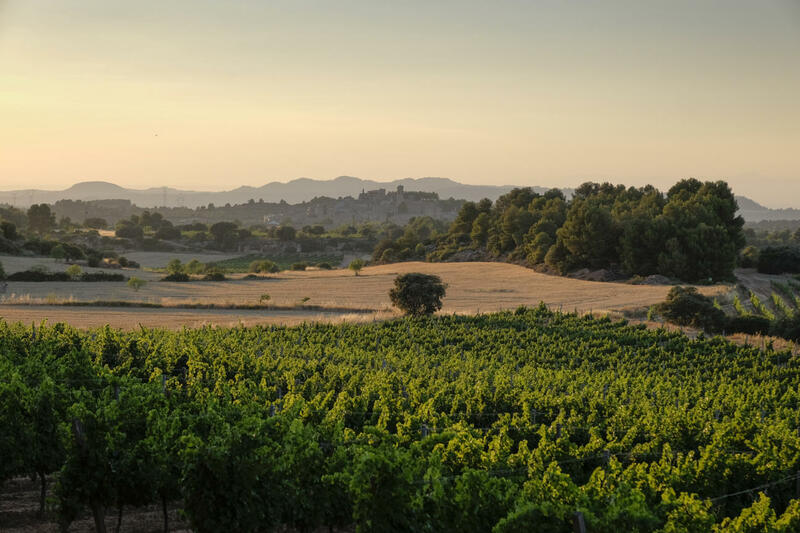 The mountain estates in the south of Lleida, that are bordered by La Conca de Barberà and El Priorat, are located near the Monastery of Poblet and the Serra de Prades mountains. The winery consists of two buildings. The winemaking part takes place in a stately building that used to be home to the town’s old wine and olive cooperative. And the aging facilities are located in a building with a modern design that is attached in the back. 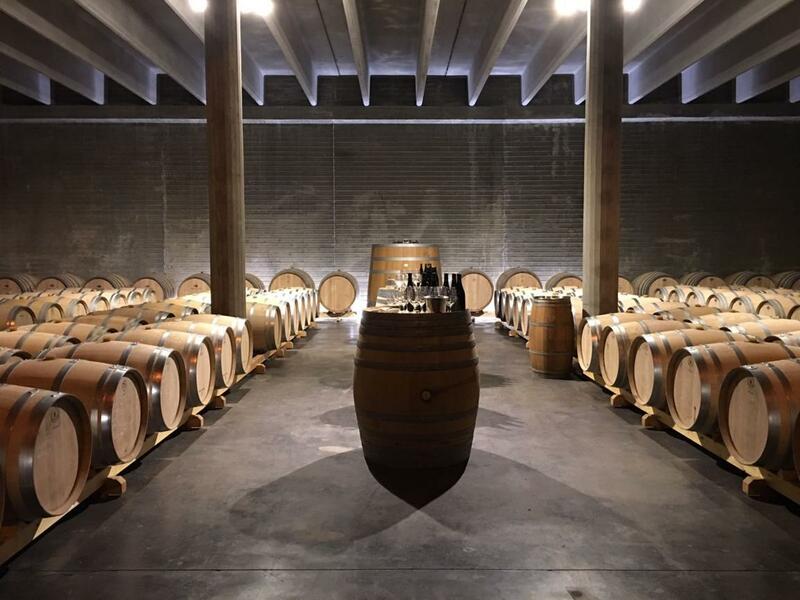 The visit focuses on explaining the winemaking process, while allowing visitors to explore the different spaces dedicated to the different tasks, and finishes up with a tasting of our signature wines. In the winery’s shop you can buy wines from the DO Costers del Segre wine region that are produced here: Drac Màgic Blanc, Drac Màgic Negre, Auzells, Llebre, Vilosell, Geol, Finca Racons, Finca La Serra del Vent, Finca Comabarra and Finca Barqueres. It is also possible to find literature related to the winery, as well as tourist information on the area. The wine shop also hosts the tastings that are offered to visitors. Next to the Tomàs Cusiné winery is the Vilosell Wine Hotel, a cosy old home that has been renovated and decorated with a modern yet rustic style in an environment surrounded by wine. 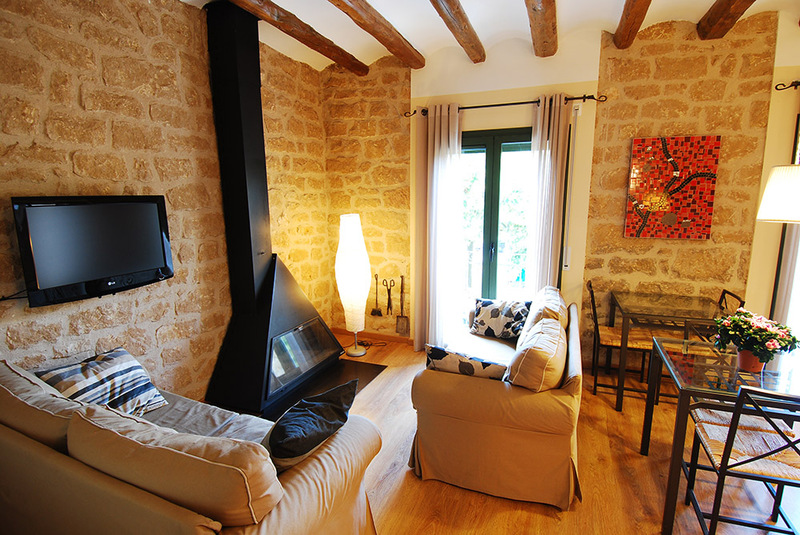 The hotel (which allows you to rent out all the rooms) consists of a kitchen, dining room and living room with a fireplace and TV, shared by all guests. The 5 rooms, which have been given the names of the winery’s different wines, are comfortably equipped and have a modern bathroom. The garden is another common area where you can enjoy spending time with family and friends around the barbequewhile drinking great wine. 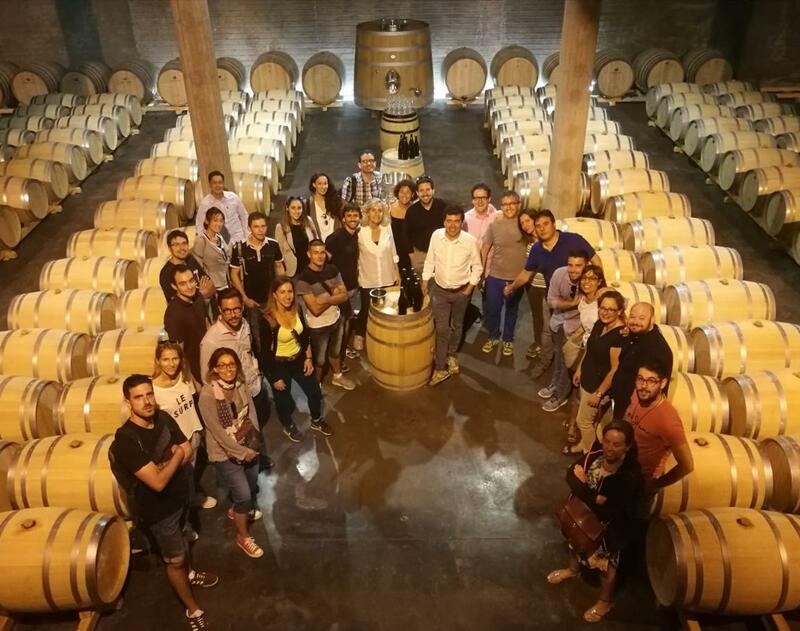 The guests are invited to go on a free guided tour of the Tomàs Cusiné winery and totry all of the wines that it produces. The home also has a selection of their own wines, glasses and utensils for the tasting, in addition to a bibliography on the subject. This town has less than 200 inhabitants and is 45 kilometres away from Lleida. It is full of charm and still preserves its cobbled streets and buildings made with exposed stone. It is a walled town on a hill that tells the history of one of the most authentic and genuine places in the Les Garrigues region. Apart from walking through the streets in the old part of town, you can also visit the Baroque church of Santa Maria and the hermitage of San Sebastian (18th century) next to the wayside cross, or admire the landscape of the Serra de la Llena mountains from either of the town’s two viewpoints. People’s interest in Tomàs Cusiné’s estate in El Vilosell goes beyond the purely winemaking aspect, as the property is also extremely proud of its rich heritage of traditional, rural architecture from the 18th and 19th century: huts and dry stone walls that have been catalogued by the experts Mateu Esquerda and Josep Preixens (members of the Les Garrigues Study Centre and the Association of Friends of TraditionalArchitecture), which can currently be visited as part of the itinerary called the “Ruta de les Cabanes”. The preservation of these architectural elements that come from rural tradition, and a dedication to caring for the land via the winery’s own forest management plan, are also inherent parts of the winery’s philosophy. 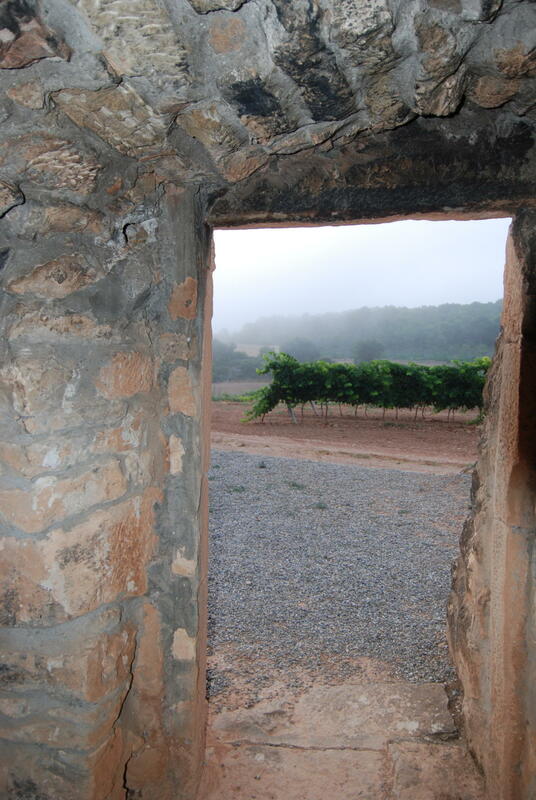 The ‘Cabanes de Volta’ routeoffers visitors a tour of the various dry stone-hut buildings that are distributed throughout the vineyard’s estates. 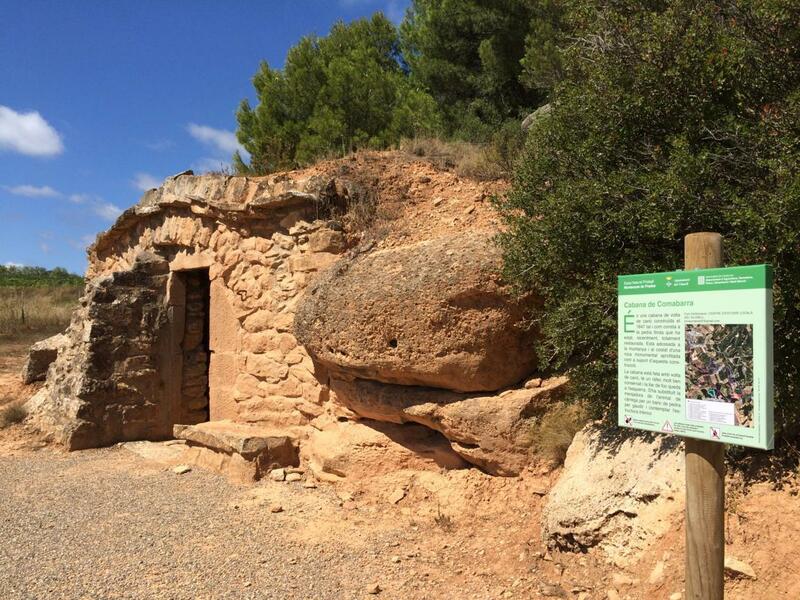 These constructions are part of the traditional architecture found in the Les Garrigues region. They were formerly used by farmers to protect themselves from bad weather and animals when they were in the fields. 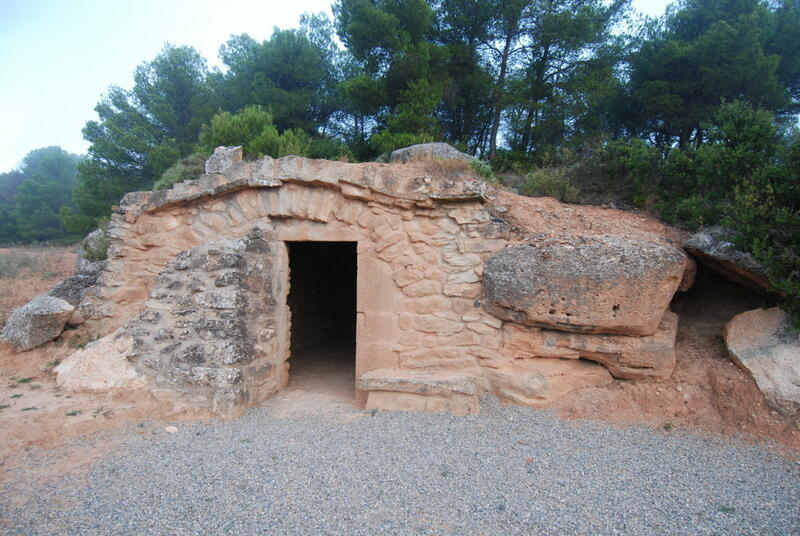 They were built with stones without the use of any binding materials, with a vaulted ceiling covered with dirt. They have a rectangular floor plan and a single nave that served as a cabin. 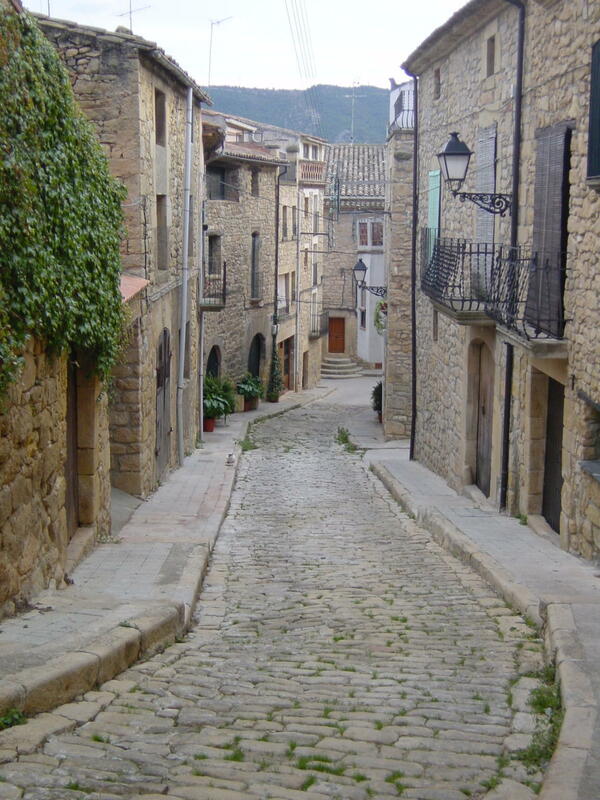 This marked route partially coincides with the course of the El Vilosell route in Vilanova de Prades, and allows you to see a representative sample of the traditional architecture in El Vilosell, which mainly includes stone huts with various types of construction, along with reservoirs and ponds that are perfectly integrated into the landscape that is dominated by vineyards and small wooded areas. These constructions have recently been restored by their owners and, in some cases, visitors are given the option to go inside. The route has several hills, although they aren’t difficult. Located in a place called Les Fontetes, 4 kilometres from the town, this sanctuary is a rectangular nave in a Baroque-Catalan style from the 18th century. You can go hiking, mountain biking and climbing. 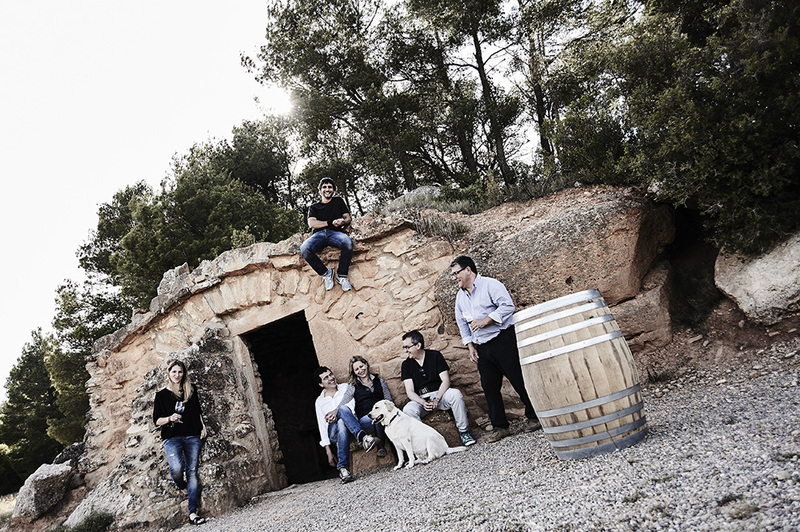 Visit to Cérvoles Winery (the town of Cérvoles is 5 km away), to be booked with the Tomàs Cusiné winery. 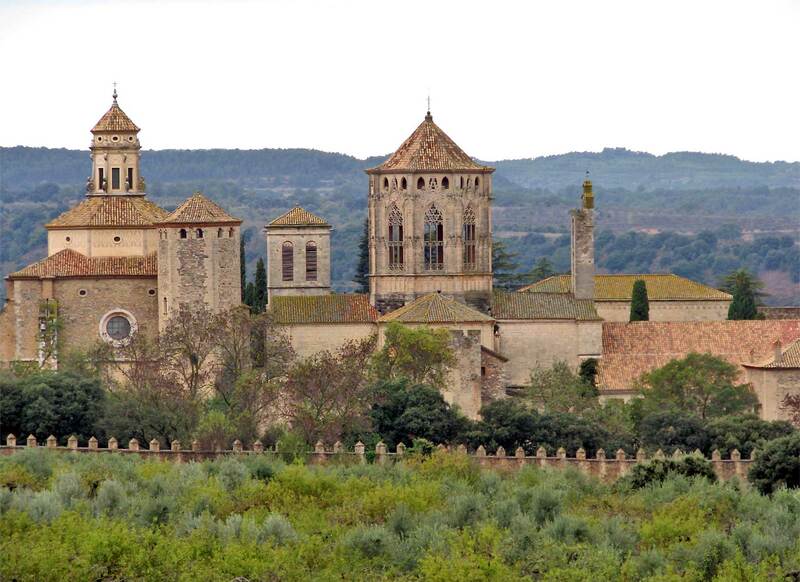 The Cistercian Route(monasteries of Poblet, Santes Creus and Vallbona de les Monges). Local products: wine, Arbequina-variety virgin olive oil, cheese, almonds, honey. Autumn: grape harvest and mushroom picking. 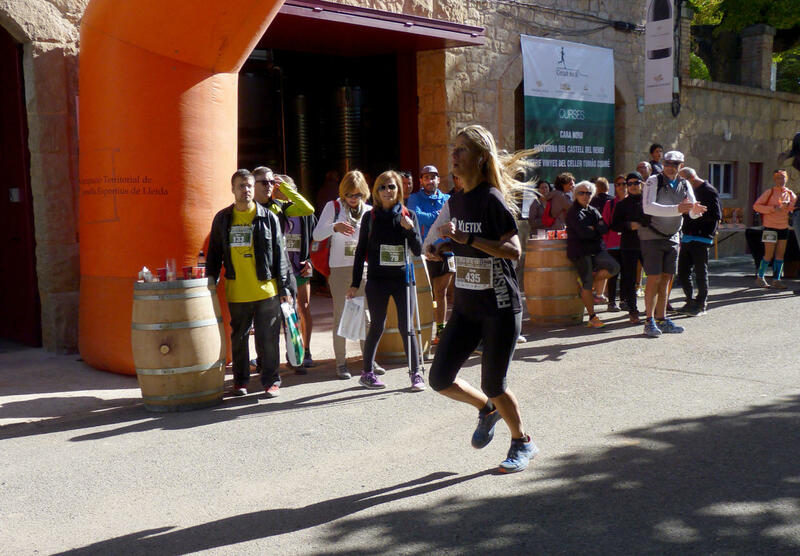 The Tomàs Cusiné winery is part of the Wine Circuit, which consists of three athletic races and walks, participating with two other wineries belonging to the same group: Castell del Remei and Cara Nord. It is held on a Sunday in October and has two itineraries, approximately 8 and 16 kilometres. The shortest distance can also be done walking. This is a charitable initiative that is carried out in collaboration with theCatalan Lupus Foundation. 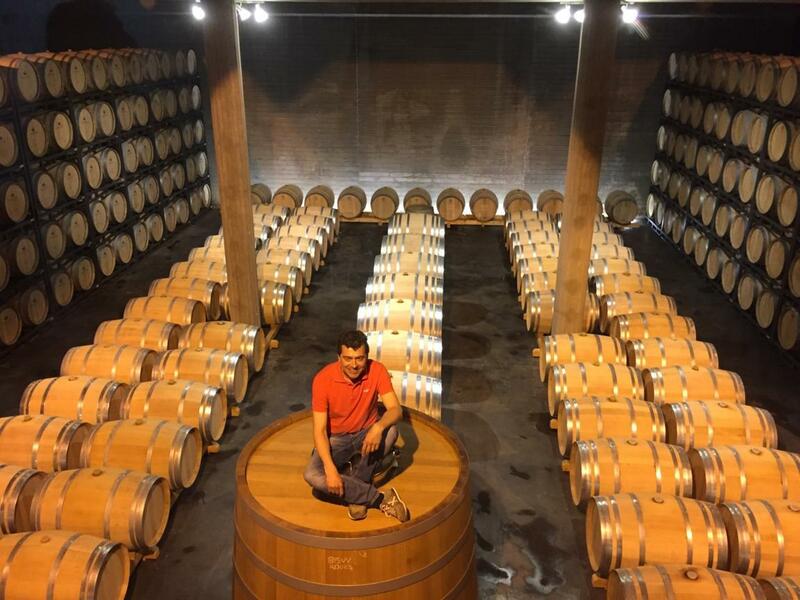 To commemorate the European Wine Tourism Day, the winery gives visitors free tours of the winery on one Sunday in November, who can also partake in a wine tasting.